SAN ANTONIO - A reality TV star known for his high-speed street racing on a Discovery Channel show was nearly involved in a dangerous crash at the San Antonio Raceway. 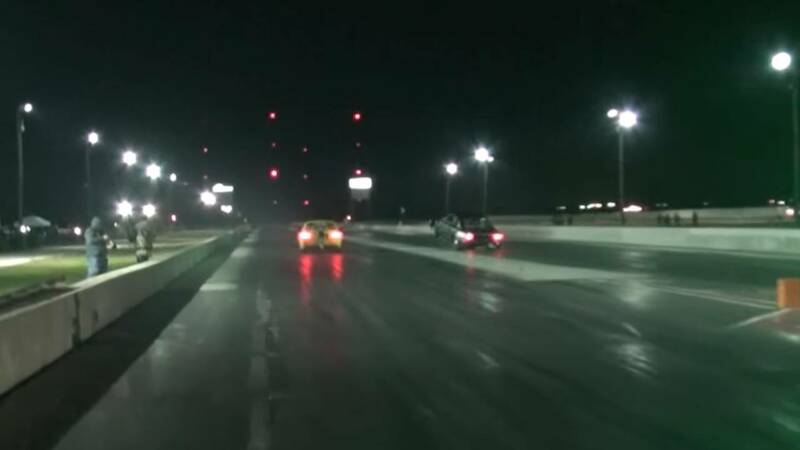 The reality star, who goes by “BoostedGT,” was racing in the finals at SAR’s Winter Meltdown event when his opponent crossed the line, almost hitting the Texas native’s rear bumper midway into the race. Video of BoostedGT’s close call was captured during the event’s last day on Dec. 30 for the 29-inch tire class race. In the video, BoostedGT’s bright yellow Ford Mustang is seen going down the 660-foot concrete track when his opponent’s front tires go airborne to start, causing him to nearly sideswipe the Texas native at a high rate of speed. Despite nearly being involved in a serious accident, BoostedGT and his Mustang took first place in his tire class, claiming $10,000 for winning the drag race. Fans of the "Street Outlaws," based out of Oklahoma City, will know BoostedGT has made appearances on the show as the only street racer from Texas.